Saturday's GVA (Gazet van Antwerpen) Trophy Cyclocross event, the GP van Hasselt, will be streamed live on Sporza. The GP van Hasselt official website is here. Potential sources of Sporza live streaming video are here. UPDATE: Live video link below works but it can be hard getting the page to load. Try re-loading that page. There will be live coverage of Sunday's Superprestige cyclocross event in Gavere. UCI Cyclocross World Cup - Pijnacker - LIVE today on cycling.tv. Note that this coverage is now live WORLDWIDE, including the U.S.A., as cycling.tv have just obtained U.S. rights to UCI races at least through the end of 2008. Dutchman Lars Boom won the 2007 edition in the men's race and American Katie Compton was the women's winner. The Elite Women's race is scheduled to begin at 13:35 CET (7:35am U.S. Eastern). Coverage of the Elite Men's race should begin at 14:50 CET (8:50am U.S. Eastern). Add 1 hour to times above for CET. This coverage is worldwide excluding U.S.A.
Live coverage of today's Superprestige cyclocross event has begun. The GVA Trophy Cyclocross race is Saturday. The official website is here. There should be live streaming video on Sporza. We do not know if this coverage will be available worldwide. We do expect Sunday's Superprestige live streaming here to be available worldwide. - So, the Team Time Trial is back, there will be fewer individual time trial kilometers, and it will all come down to the penultimate stage, to Mont Ventoux the day before the stage into Paris. - Official site feed is now working for us, with voice-over in English. - Christian Prudhomme is now presenting the 2009 Tour de France route. - Cycling.tv feed is running behind France 3 feed. Prince Albert of Monaco now speaking. If you are just now tuning in, they haven't yet begun showing the 2009 Tour route. Velonews and official site live streams not working for us. - Presentation also live now on France 3 here. Christian Prudhomme is now speaking. -Bernie S.
- Live feed is playing for us on cycling.tv, but with no audio. At the moment, they are showing the 2008 TDF highlights video. 2009 TDF Route Presentation to follow. - Next update here when live coverage gets underway. - Live streaming video of the ceremony should get underway at 11:30 CET (5:30am U.S. Eastern). 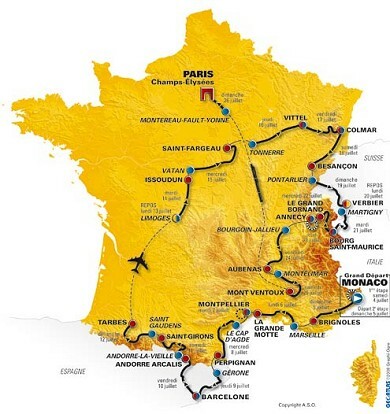 - What is also known this morning prior to the route presentation is that, as rumored, the penultimate stage of the 2009 Tour de France will be a road stage to the summit of Mont Ventoux, the first time the Tour will visit the "Giant of Provence" since 2002. Yes, that is the day before the race finish on the Champs-Elysees in Paris! - Will the Team Time Trial return to the Tour de France? That's one question many are asking. The TTT was a victim of the ASO/UCI wars of recent years with ASO deliberately shelving the event after 2005 to undermine the UCI's ProTour Team Time Trial which had a place in June on the calendar prior to the Tour. (A.S.O. of course has never publicly admitted as much and neither has L'Equipe.) With no TTT in the TDF, teams had less incentive to take the ProTour TTT event seriously. The result is that the event died. 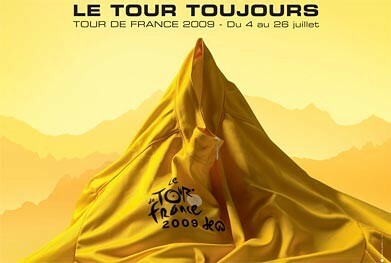 With its death, we may see a return of the TTT to the Tour de France in 2009, or 2010 at the latest. - According to this morning's L'Equipe, the 2009 Tour de France will indeed begin, as rumored, with a 15km time trial in the streets of Monaco, including a portion of the Formula 1 circuit. Should be spectacular. The last time a Tour de France started on the Cote d'Azur (Riviera)? 1981. 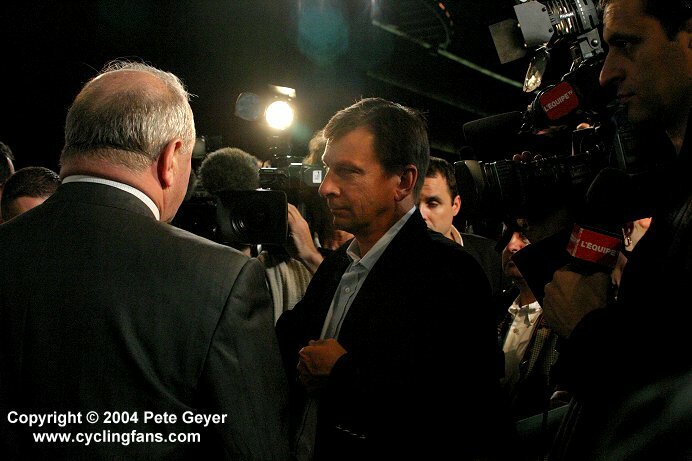 - UCI President Pat McQuaid, as expected, will be in attendance this morning. This may have the effect of maintaining the mistaken belief, among many, that ASO and the UCI have buried the hatchet over their ProTour differences. Though some in the English-language cycling media don't seem to have picked up on this, Amaury Group president Marie-Odile Amaury has made it clear: Amaury does not recognize the ProTour and ASO will not be joining the ProTour. Not now, not ever. However, ASO does once again recognize the authority of the UCI as the sport's governing body. - The normal start time for this event as in past years, and indeed the start time mentioned in this morning's (Wednesday) L'Equipe newspaper, is 11:00 CET. If that time is accurate and live streaming does not start until 11:30 CET as announced, this suggests that opening remarks from the likes of new ASO president Jean-Etienne Amaury and Christian Prudhomme, as well as a speech by Prince Albert II of Monaco and awards presentations may not be part of the live streaming. If that is the case, the presentation of the actual race route will of course be streamed live and possibly the highlights video of the 2008 Tour. We'll see. - The general route for the 2009 Tour de France was defined in May, the details were completed in September, and after race organizer Amaury Sport Organization (A.S.O.) reserved the necessary hotel rooms for the teams and race officials, all that remains is to present the route to an invitation-only audience at the Palais des Congres in Paris and, for the first time ever, to cycling fans worldwide via live streaming video. - Welcome to today's live coverage guide for the 2009 Tour de France Route Presentation. 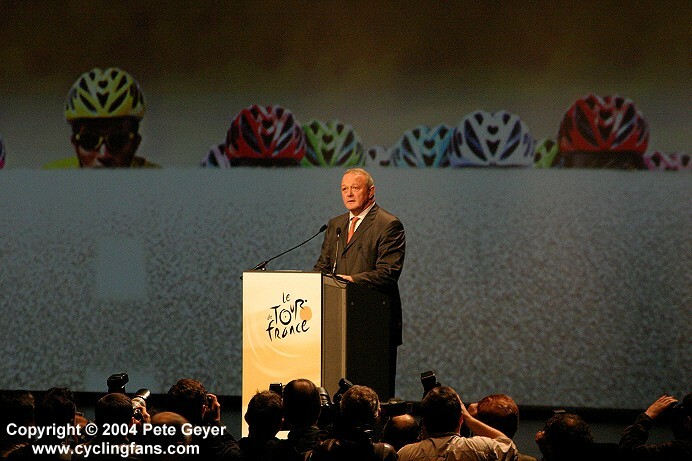 The 2009 Tour de France route will be presented LIVE from the Palais des Congres in Paris tomorrow. The invitation-only event will for the first time be seen by cycling fans worldwide via internet live streaming. Tour de France director Christian Prudhomme will be joined by Prince Albert II of Monaco in presenting the 2009 edition of the race with its "Grand Depart" in Monaco. Among the riders expected in attendance are Carlos Sastre and Alberto Contador. Live streaming video of the ceremony should get underway at 11:30 CET (5:30am U.S. Eastern). Live streaming coverage of this event should begin on cycling.tv (worldwide excluding USA) at around 13:25 CET (7:25am U.S. Eastern). This event may also be available on Sporza.